Mittelmann, H.D, & Vallentin, F. (2010). 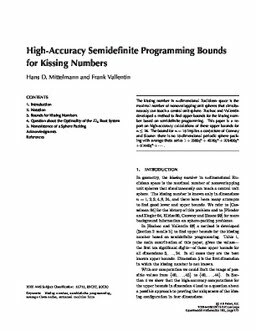 High accuracy semidefinite programming bounds for kissing numbers. Experimental Mathematics, 19, 174–178.